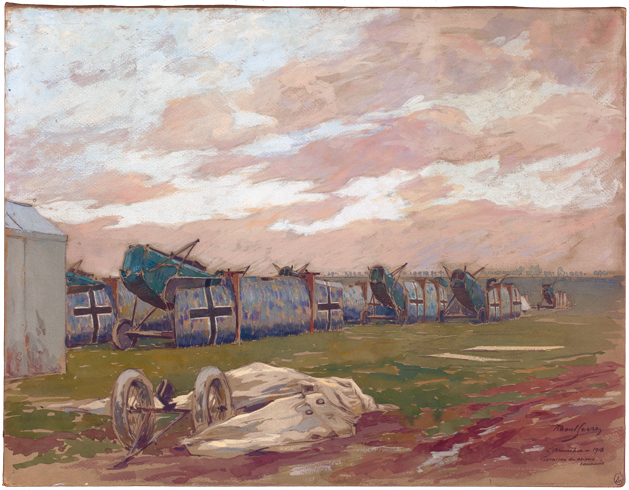 German aircraft disassembled and delivered new to the Allies. Drawing by Raoul de Serres (1881-1971) © Paris, musée de l’Armée, dist. RMN-GP. This aspect was crucial for the Allies and associates, as it was both about preventing Germany from returning to war, about starting to rebuild the devastated areas, and about ensuring everyone’s place in the economic recovery. 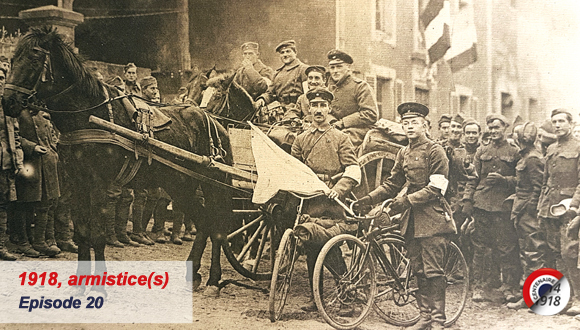 The 1918 Armistice Conventions contained all clauses relating to the return or delivery to the winners of materials related to war, transport, communications or agriculture. These clauses, military and naval, were detailed in particular in the armistice signed at Villa Giusti on 3 November 1918, between the Allied and associated powers and Austria-Hungary, and in the Rethondes armistice signed on 11 November 1918, on behalf of the Allied and associated powers. 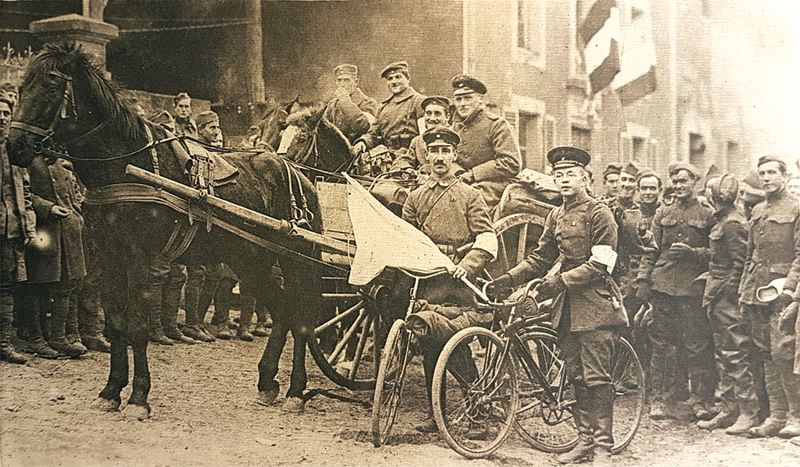 The delivery of equipment and the demilitarisation of the German army, which began in December 1918, were thus subject to numerous clauses in the Rethondes Armistice Convention, some of which were even specified or modified in the extensions: 11 November 1918, articles IV, VI, VII, XXII, XXVIII; Annex 1, article III; Annex 2, articles II and IV; extension of 16 January 1919, article III. These clauses reveal both the difficulty of the Germans in meeting certain demands and that of the Allies and associates in agreeing on these questions. These differences are even more blatant with the peace treaties and, in particular, the Treaty of Versailles. 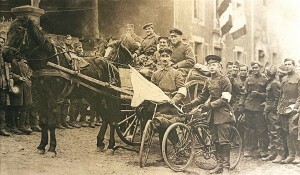 Initially, German troops, who evacuated the occupied or invaded territories to return to Germany, abandoned military equipment for lack of time and resources. 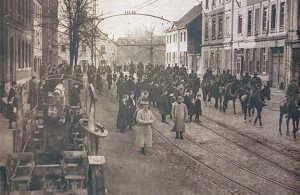 Then, in accordance with the armistice clauses, the German High Command sent its men to hand over military vehicles, weapons and equipment to the Allies. 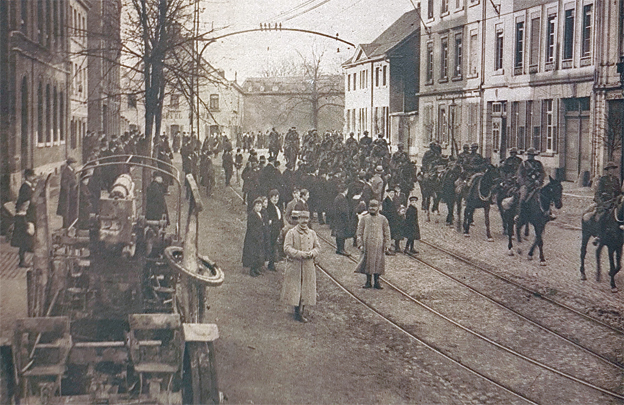 Thus, from as early as 4 December in Strasbourg, German officers delivered German army trucks to French officers.